Pebble on Tuesday announced a steel version of its upcoming Pebble Time smartwatch, as well as a new expandable accessory port called "smartstrap" that could add functions such as GPS or heart rate monitoring. The Pebble Time Steel will carry a $70 premium over the plastic version, selling for $250 for early adopters on Kickstarter. The device will sell for $299 when it becomes available at retail —just $50 less than the starting price of an Apple Watch. The new model features a larger battery offering up to 10 days of uptime. It's encased in CNC-finished 316L stainless steel, and comes with a premium leather and stainless steel strap. 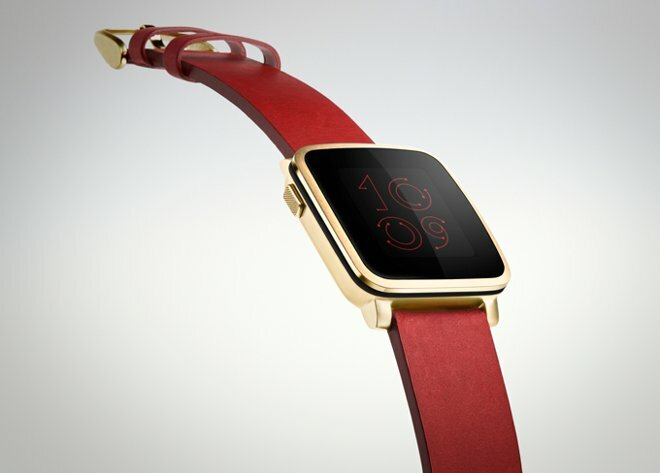 The steel version of the Pebble Time is available in silver with a stone leather band, gunmetal black with a black leather band, and gold with a red leather band. Existing Pebble Time backers can upgrade to the steel model by changing their pledge amount. The Pebble Time Steel is expected to start shipping in July. The company also announced details on its new "smartstraps" for the upcoming Pebble Time series. This open platform will allow accessory makers to build extensions for the Pebble that add functionality not built into the base models, such as GPS or heart rate monitoring. 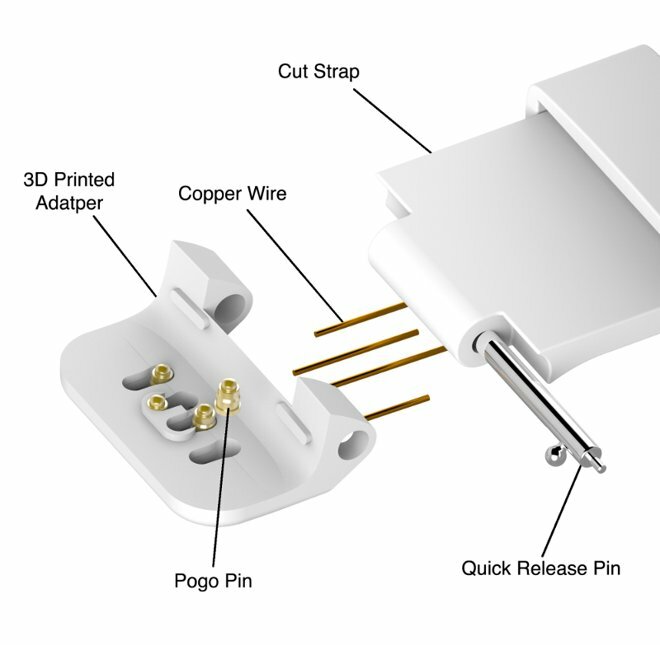 The smartstrap power contact is bi-directional, which means developers will be able to create accessories that either provide power to the Pebble, or receive power from the watch. The power draw to an accessory must not exceed 20 mA. APIs to interact with smartstraps are not yet part of the developer preview, but the company said they will be publicly available several months after the Pebble Time begins shipping. 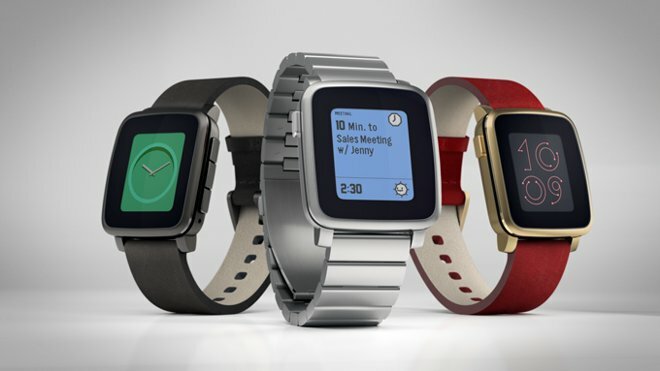 The Pebble Time was first revealed a week ago as the company behind it returned to its roots and initiated another Kickstarter campaign to crowdfund the project. It was another immediate smash success, blowing past its $500,000 goal almost instantly, and to date has raised more than $12 million from nearly 55,000 backers. The second-generation smartwatch from Pebble adds a color e-ink display, seven days of battery life for the base plastic model, and voice input.